Craft with washi tape till your hearts content. 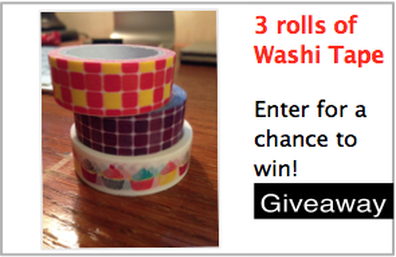 This month's giveaway is a Three roles of Washi Tape. One lucky winner will be chosen to receive this washi tape and mailed to an address of their choosing. Visit our blog or Giveaway page to enter online!